Whether you celebrate Easter traditionally, only the fun parts or not at all-have a fantastic weekend and enjoy the start of Spring! What is a Virtual Easter Egg?– Is it simply a picture of an Easter Egg……like this one? A virtual Easter egg is an intentional hidden message or feature in an object such as a movie, book, CD, DVD, computer program, or video game. 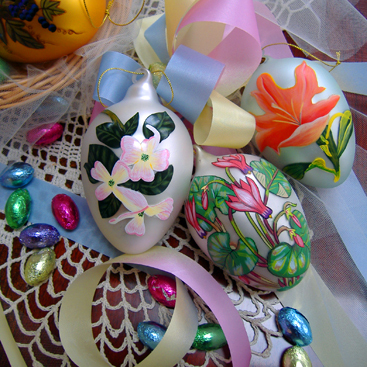 The term draws a parallel with the custom of the Easter egg hunt observed in many western nations. Google Tricks, Hacks and Easter Eggs….hmmm? Easter, also known as Pascha, is always the first Sunday after the first full moon after the Spring Equinox. This year the Equinox fell on March 20th. used to identify Passover, which is why it moves around on our Roman calendar. If Easter seems to be a little early this year, it’s because it is only the second earliest date it can be based on the Hebrew dating. This year marks the earliest we’ve seen Easter celebrated in 95 years. This YouTube is a serious depiction of Good Friday. Previous PostWhen you drop the ball….Next PostThe first “Earth Hour” ….. Turn off your lights for a full hour.